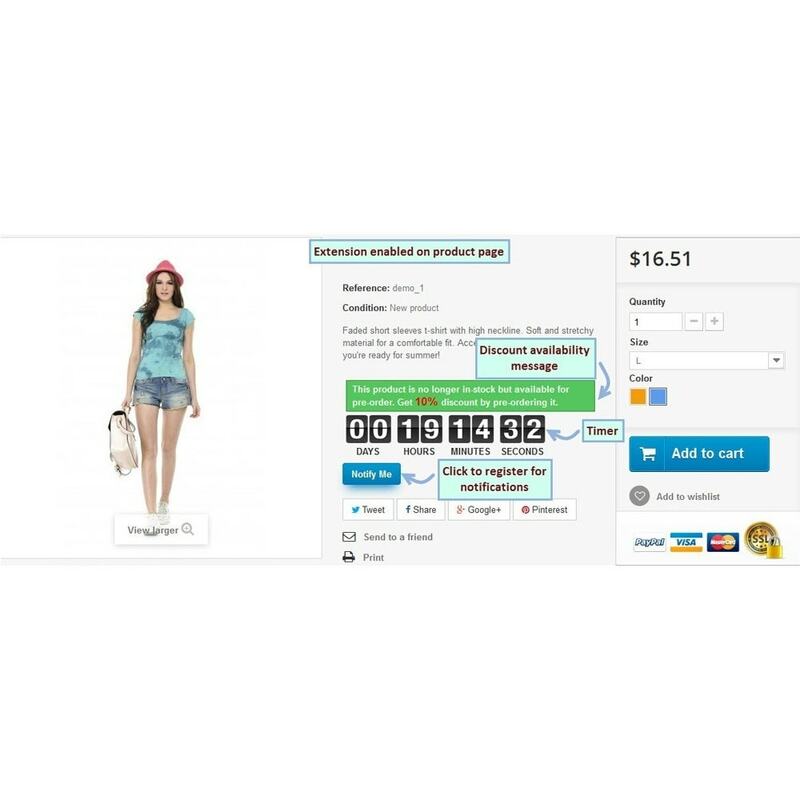 Attract customers with preorder discount offer(s) showing the effective message on frontend. Aware customers about product availability time with countdown timer on product page. 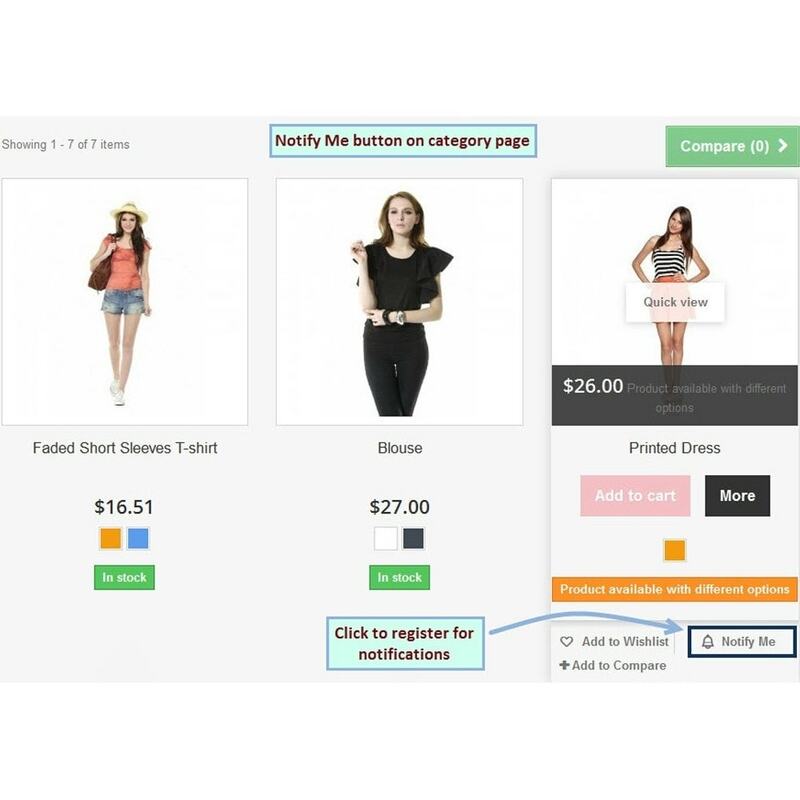 Engage more customers with the store by allowing them to preorder and notify them when products get in stock. Enable extension for all or specific out of stock products. Message on frontend to notify customers about preorder discount availability. Show countdown timer till out of stock products get back in stock. 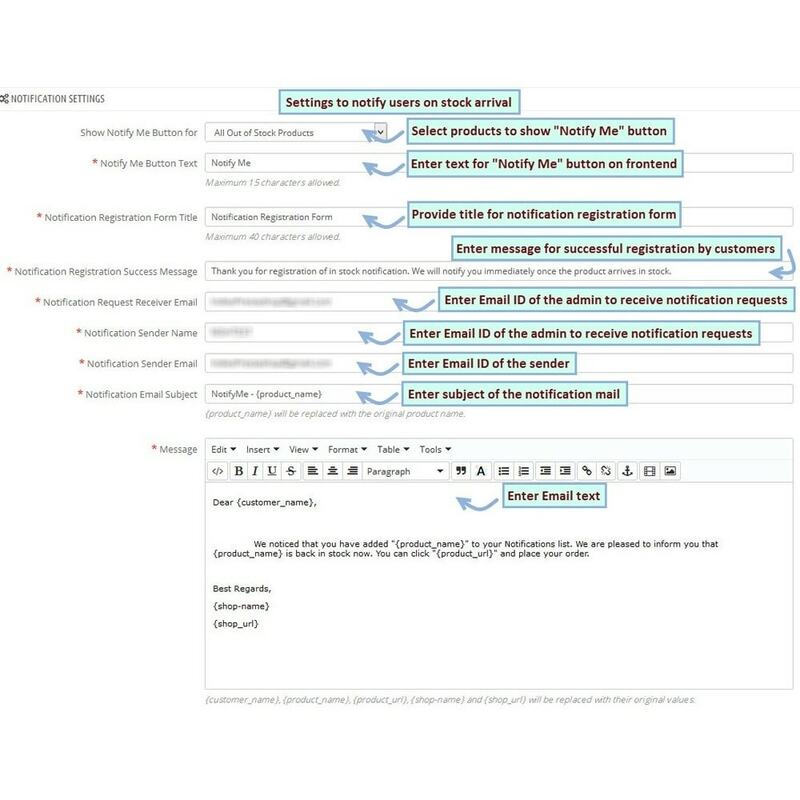 Customizable text for both Notify Me button and notification registration form. 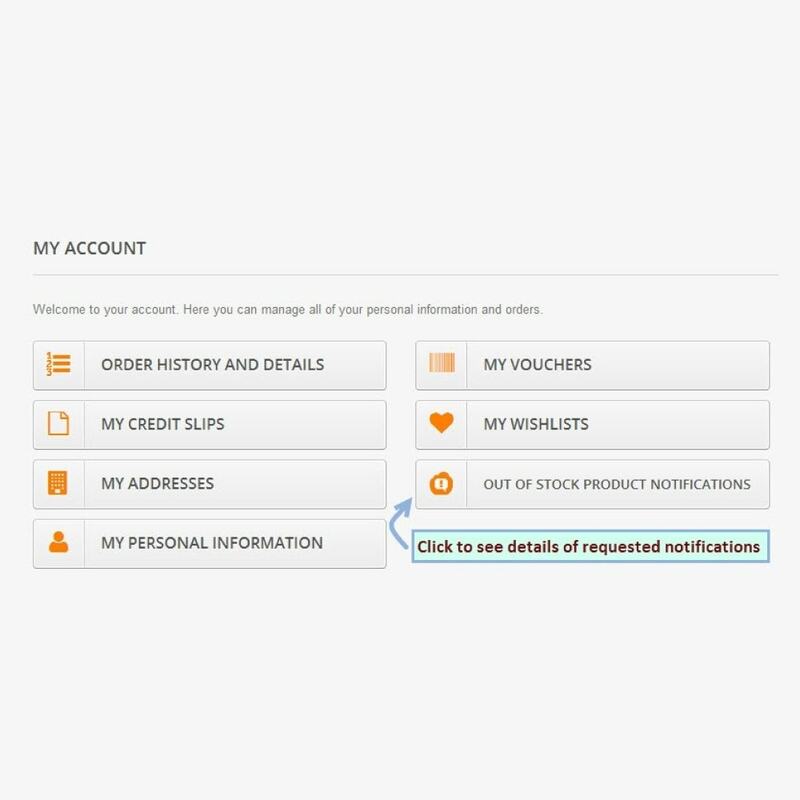 Clicking “Notify Me” button opens up a form for customers to provide the details to register for notifications. 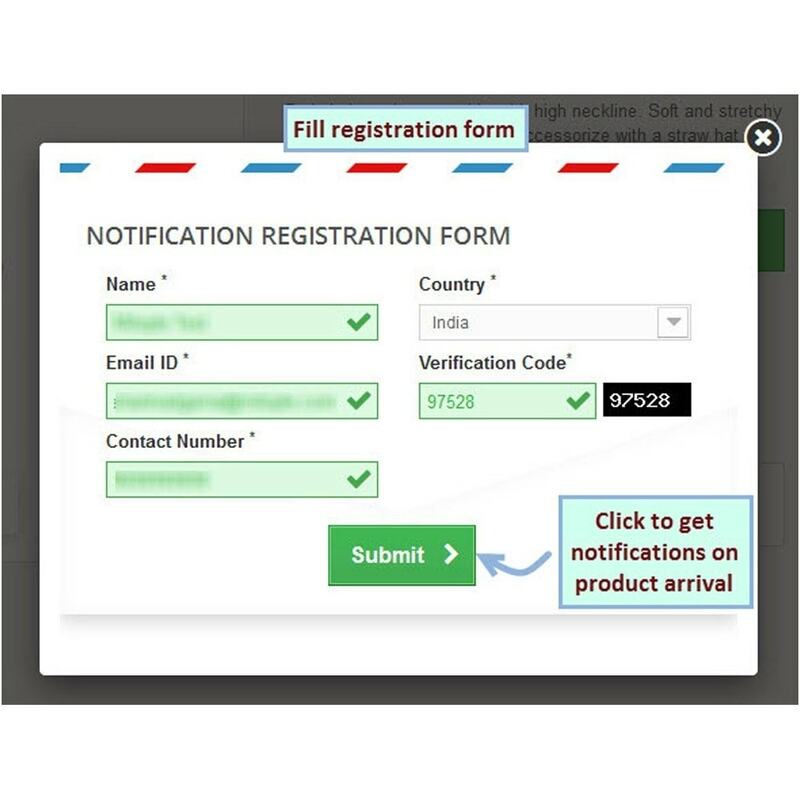 Notification registration success message for customers to acknowledge them about their successful form submission. Email notification to subscribed requestors on stock arrival of out of stock products along with product purchase link. 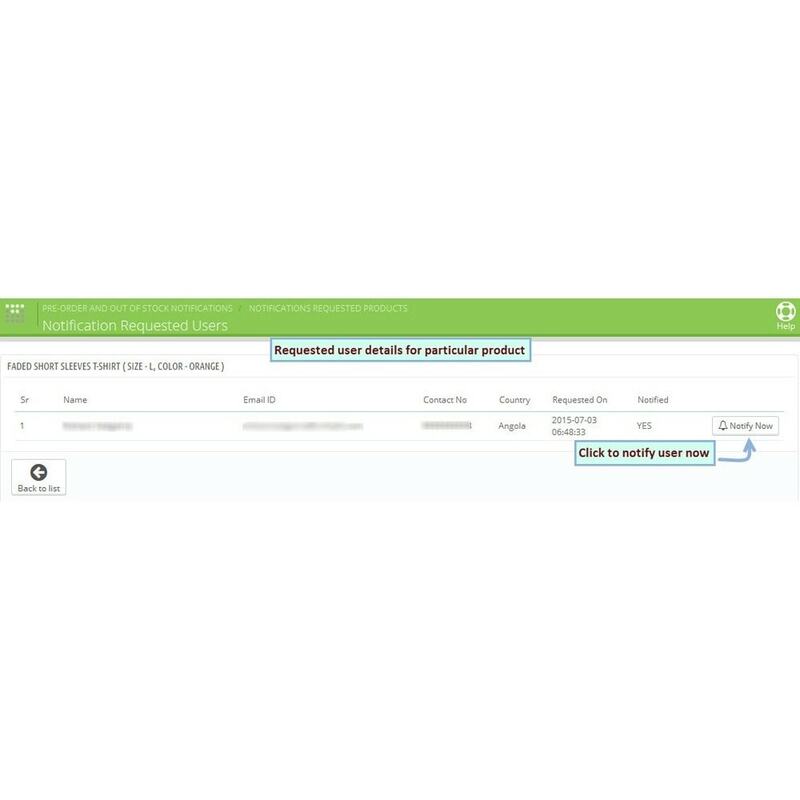 Notification details in customer’s “My Account” along with product details, date of product availability, stock status and product link. 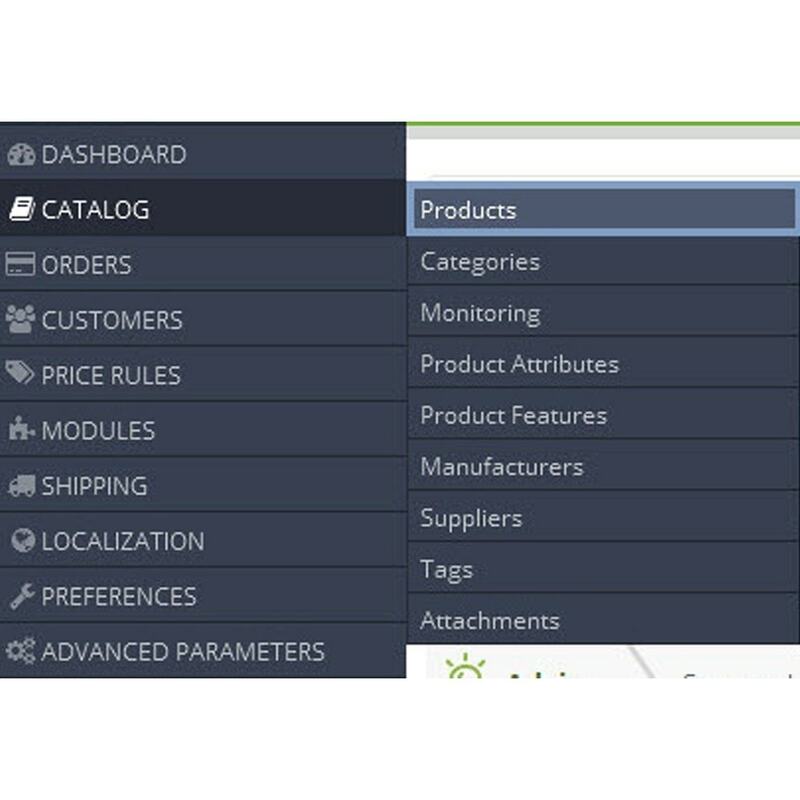 Details of requests for all out of stock products in Preorder and Out of Stock Notifications  Notifications Requested Products which contains information regarding product names, attributes, numbers of requests received, time of products gets in tock, quantities (when products get in stock), stock status and shop name. 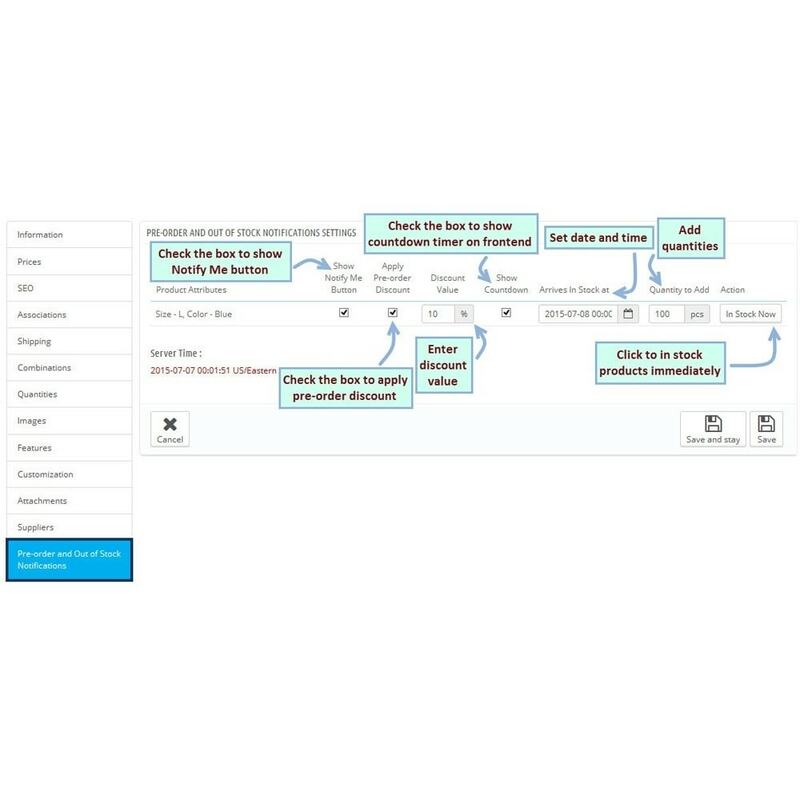 A separate grid in backend showing the details of requested users such as Name, Email ID, Contact no., country, date and time of request, and notification status. 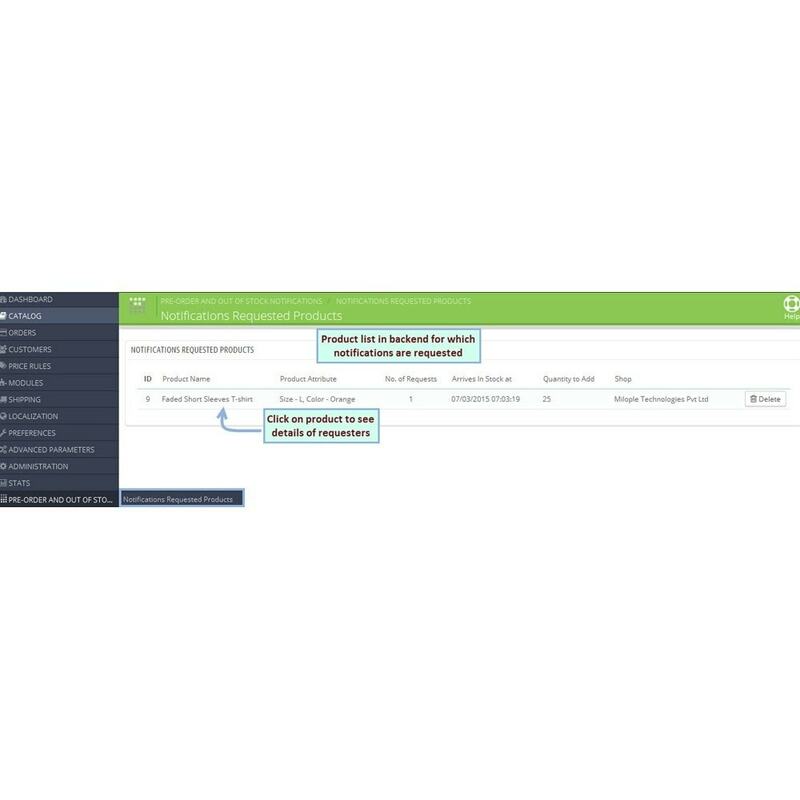 Set discount value and product availability message from backend to push up customers to preorder. Customizable notification Email message with the use of predefined variables. Set quantities to add on arrival of products in stock. 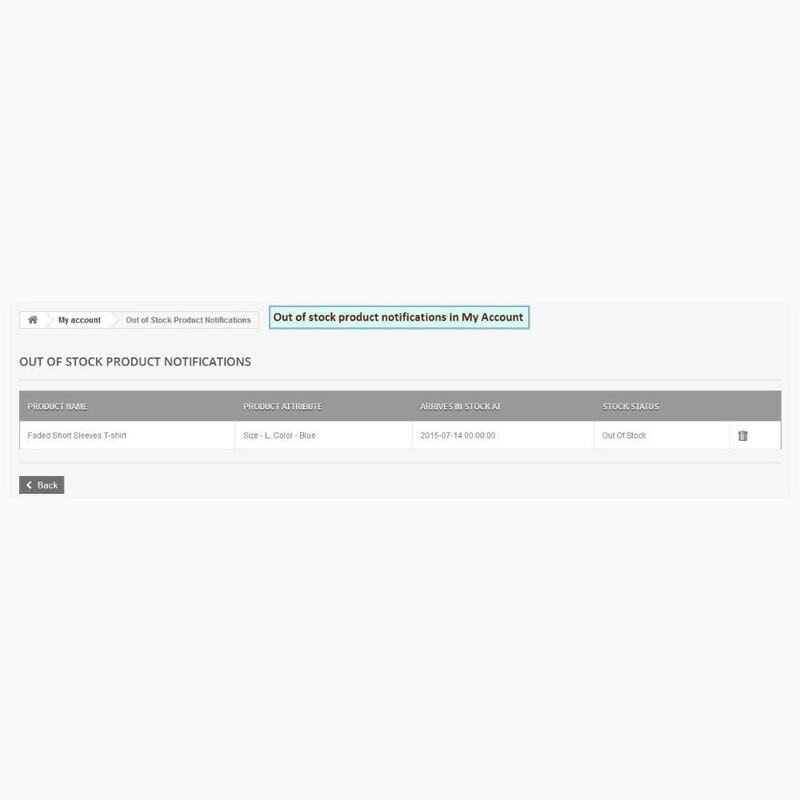 Immediately stop timer and make products in-stock with “In Stock Now” action button in backend. Customers can leverage discounts on out of stock products. Countdown timer on product page specifies the time to wait for product availability. Customers can submit their details to get product availability notifications for out of stock products. 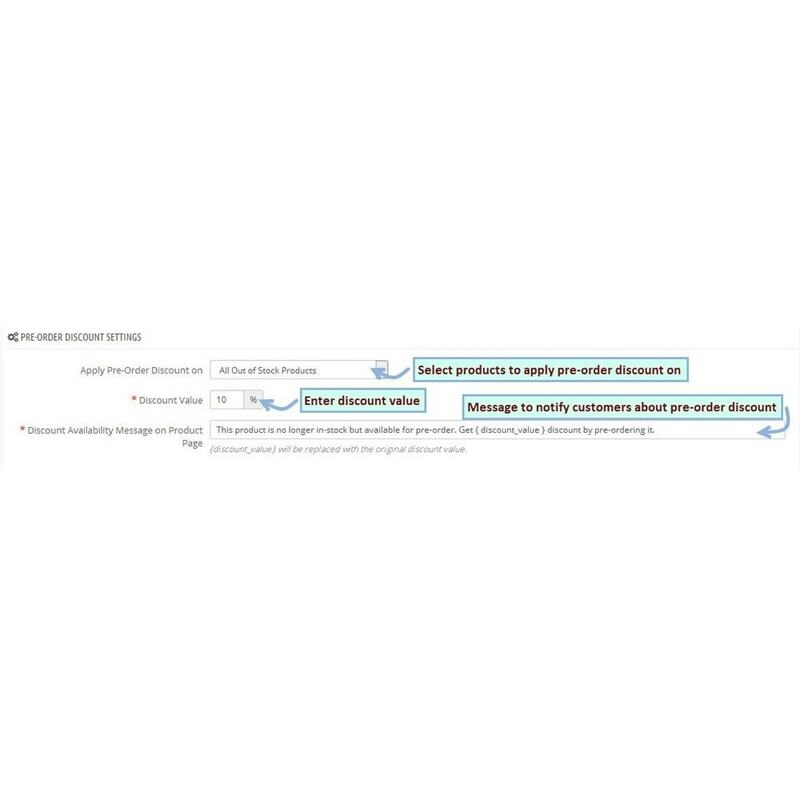 Customers are notified with Email when products get in-stock and they can make purchase directly from there with the purchase link available in mail. Customers can track their preorders from their “My Account” area. Made extension compatible with Prestashop Version 1.7.